3D printing is like cooking or like BBQ: It is more about barometric pressure, humidity and temperature than you might think of. To me, printing (and cooking) is a combination of art and science. And as with cooking, sometimes the result is not usable. I’m very happy with the Ultimaker 2 printing PLA material. For a LED matrix project I have to use ABS as this material is suitable for higher temperature: PLA simply will not stand the heat produced by the LEDs I’m going to use. And here the joy ended: printing using ABS was definitely no fun. 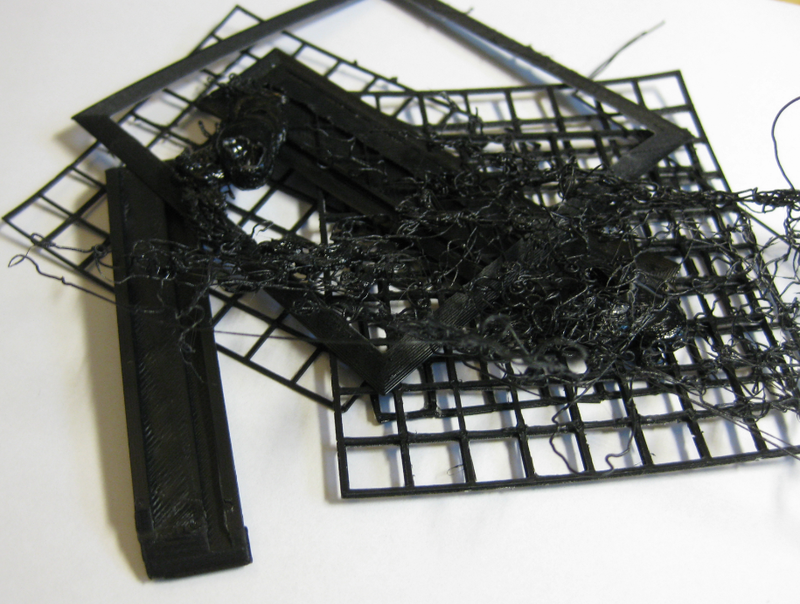 While the first small test print came out OK, I produced afterwards a pile of unusable parts because of warping :-(.